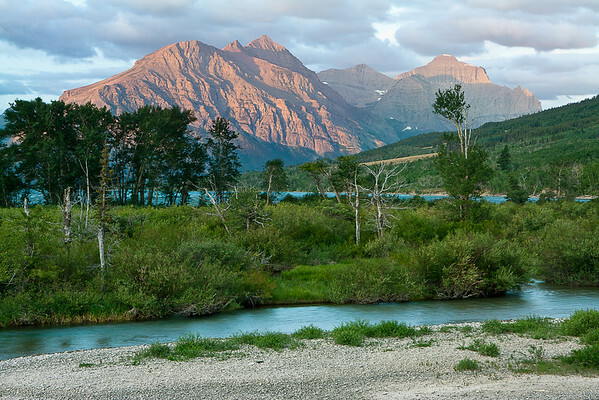 The early morning sun lit up Divide Mountain in Glacier National Park. We were told that the snow that falls on the north and east sides of the mountain flows to the Missouri River and eventually to the Gulf of Mexico. That on the South side ends up in the Gulf of California and on the West side, water flows to the Pacific Ocean.